which should route you to the private lodge at the bottom of Beechwood Park School. 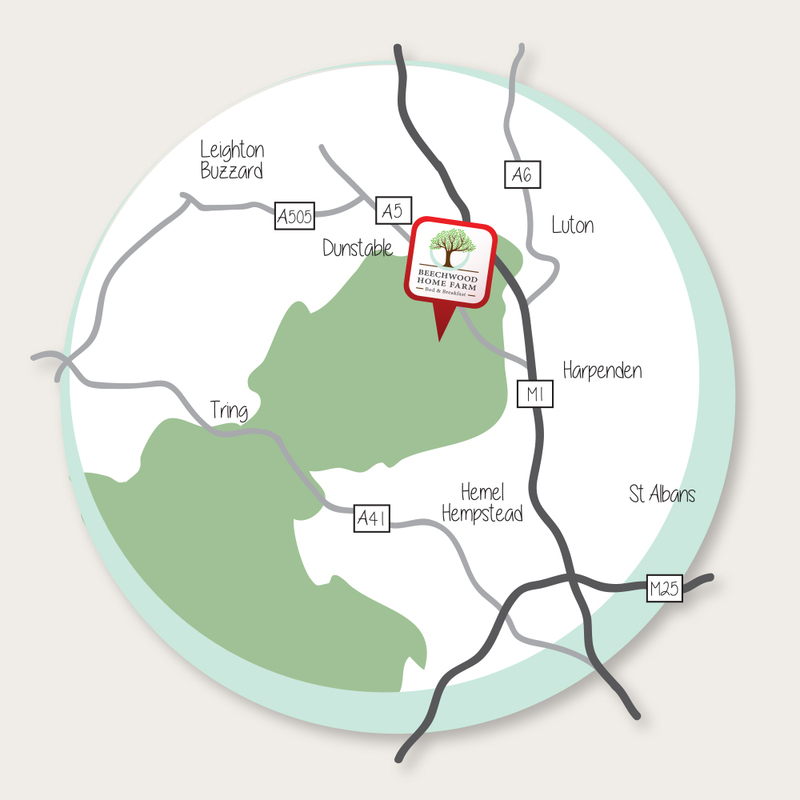 Beechwood Park School is conveniently situated within easy reach of St Albans, Harpenden, Berkhamsted, Luton, Dunstable and Hemel Hempstead. Leave the motorway at Junction 9 and join the A5 north towards Dunstable. Travel for approximately 2 miles, taking the second turning left into Markyate (Hicks Road). At the end of Hicks Road cross the High Street onto Pickford Road. Continue up the hill out of the village, travelling for approximately 1½ miles and turn right (opposite the end of Valley Lane) into the private drive leading to Beechwood Park School. Follow the drive past Beechwood Park School and continue onto the dirt track for approximately ½ mile. Once you reach the crossroads with a house on your left: turn right and continue on the dirt track where you will see a sign for BEECHWOOD HOME FARM Bed & Breakfast. The nearest mainline stations are Luton Parkway which is a 10 minute journey or Harpenden which is a 20 minute journey from us. It has regular main line services to London St Pancras and other destinations within the UK. London Luton (10 minutes by road) and London Heathrow (40 minutes by road) are within easy reach. 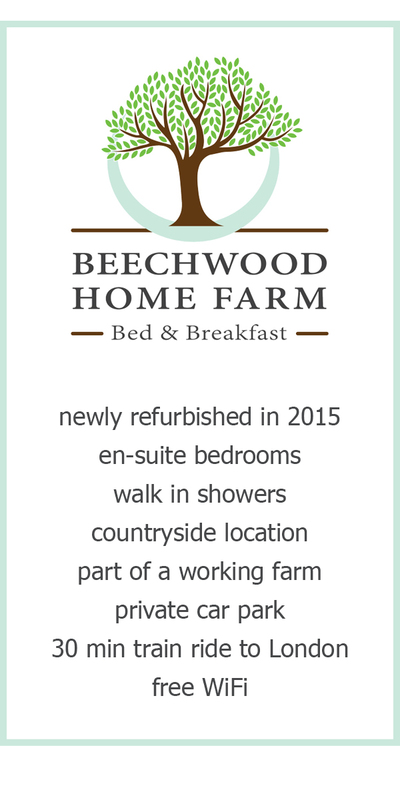 Please follow signs for BEECHWOOD HOME FARM Bed & Breakfast. We offer private secure parking for all guests. Please use the maps below, or find us on Google maps.